Established in 1907, Jasper National Park is the largest National Park in the Canadian Rocky Mountains with almost 11,000 square kilometres (over 4000 square miles). 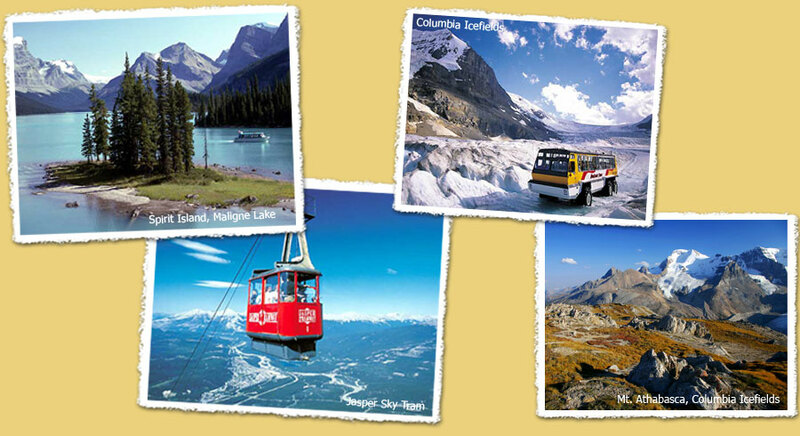 It is also the most northerly of our four Rocky Mountain parks, which together comprise a UNESCO World Heritage Site. Majestic mountains, valleys and lakes offer spectacular views of the Rocky Mountain wilderness. Many of our guests enjoy these sights from Alpine Village. 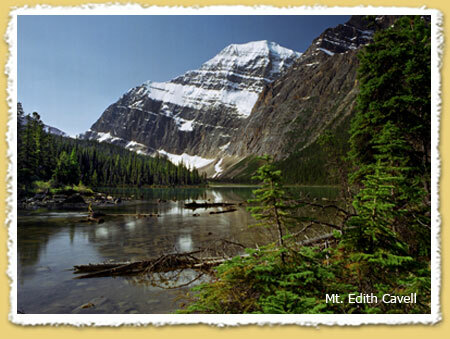 The view of Mount Edith Cavell, one of Jasper's most magnificent peaks is superb from our hot tub! Sit along the Athabasca River drinking your morning coffee while watching the sun rise over Tekarra Mountain. Other guests use Alpine Village as a base to hike along many of the 1,000 km of mountain trails or to drive to the world famous Columbia Icefields via the Icefields Parkway, one of the few Icefields in the world accessible by highway. Jasper National Park is internationally renowned for wildlife viewing, and is home to elk, deer, sheep, birds, bears, moose, caribou and wolves among others. Our cabin was great. Awesome view of the Athabasca River, friendly hosts. We’d love to come back for a longer stay. We have had a wonderful stay. Awesome scenery, the location is just perfect. Thank you. We will have great memories. Mount Robson, the highest peak in the Canadian Rockies and Kinney Lake are popular sites in Mount Robson Provincial Park (85 km).